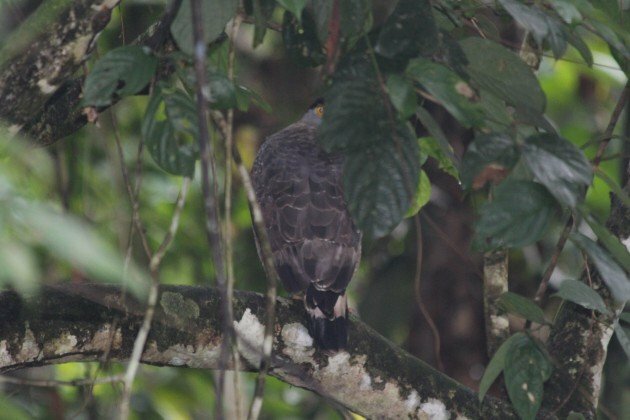 The serpent-eagles of the genus Spilornis are an Asian group, not to be confused with two different genera found in Africa or, for that matter, the snake-eagles, a mostly African but also European and Asian genus (simple, right?). 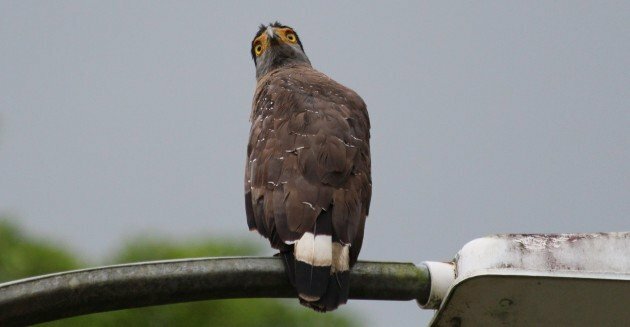 The Spilornis serpent-eagles are represented by a number of insular species and one widespread mainland species, the Crested Serpent-eagle. This species ranges from India to Japan and south down Borneo. 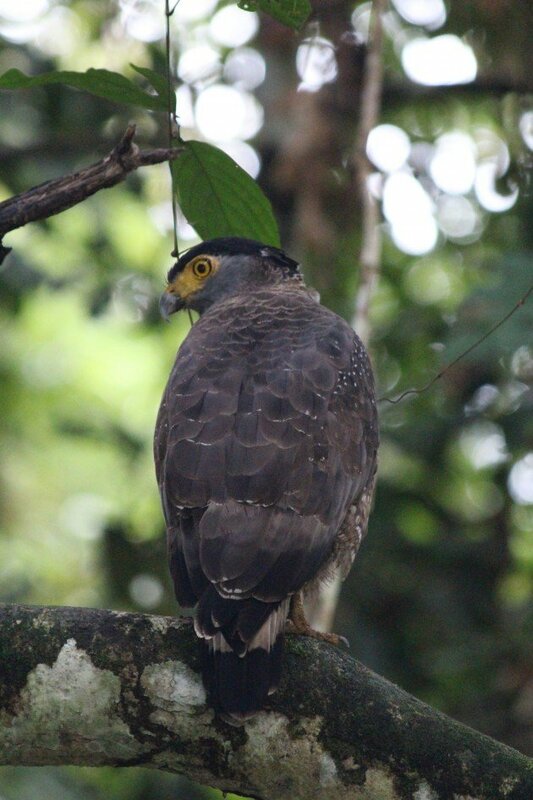 They live in forests and along forest edges where they specialise in hunting snakes and lizards. 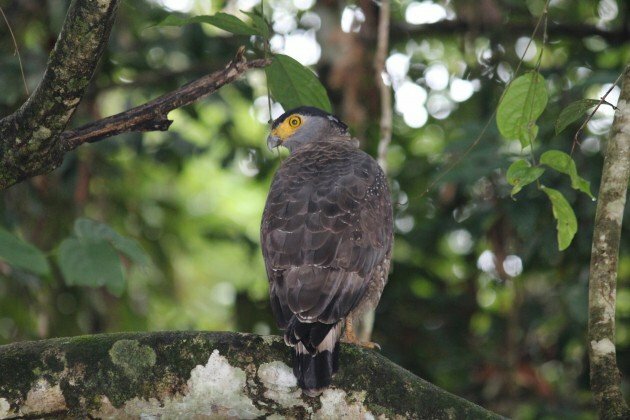 I was lucky enough to see this species a couple of times when I was in Borneo, where it shares the island with the related endemic Mountain Serpent Eagle. 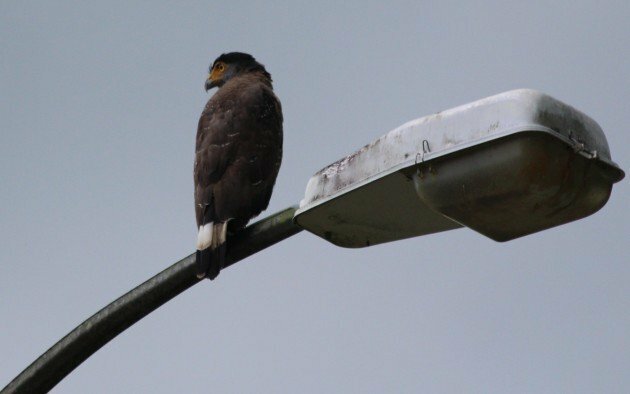 In Borneo it is typically found in lowland areas compared to the mountain species. 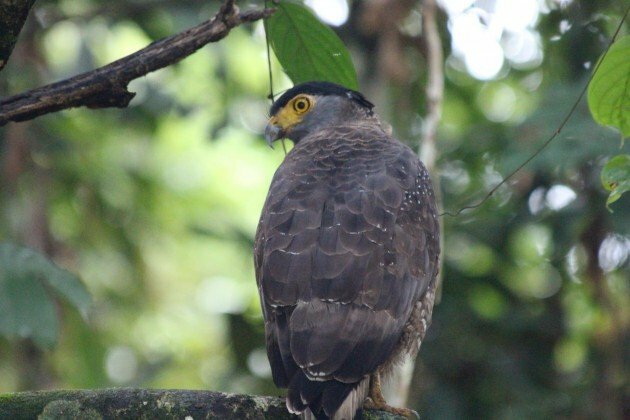 I first saw them in the remnant forest at Gomantong Caves, where we flushed one up off the road and into the bushes, from where we got great close up views from the van. At first we could barely see it. Then he hopped up to a clearer perch. In this photo you can just see the band across the tail. 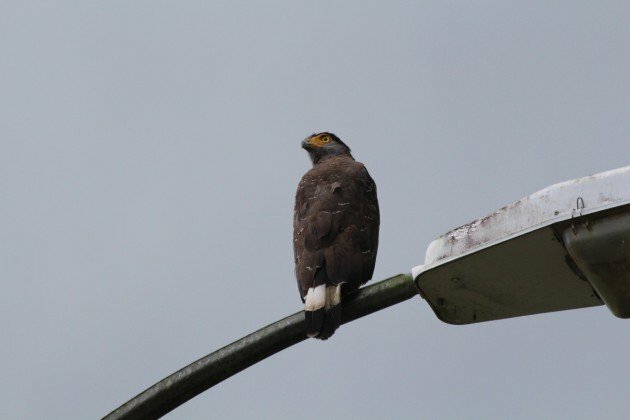 Another was found in the parking lot by the visitor centre. Feel the power of the glower! Awesome find. And I would totally have called that the Duran Duran Eagle.